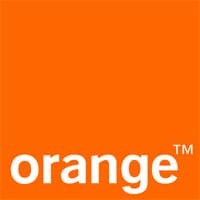 Mobile network operator Orange is to commercially launch NFC ticketing services in the Spanish cities of Malaga and Valencia in the coming months, following successful pilot phases that have been underway in Malaga since February 2012. The first service to launch will be in the city of Valencia and is to be followed by an expansion to the nearby city of Alicante. The service is now in its pre-commercial phase and will be available in “the next weeks”. The mobile network operator partnered with Valencia’s department of infrastructure and transport to develop the service. To use the Valencia service, customers will need to download a Mobilis mobile phone app, developed by Transermobile, and link their credit card to it for payments. They will then be able to purchase tickets before travelling, which will be stored in their NFC SIM. When on board, they will validate their ticket by tapping their phone on a contactless reader. The second service is to go live in Malaga later this year, following extensive testing, in partnership with public transportation operator EMT. Here, participants can use their NFC phone as their transport ticket on any EMT Malaga bus, all of which are equipped to handle NFC transactions. They can also use the service to purchase tickets via their NFC phone as well as check the balance remaining on their travel “card”, view their travel history and get information on schedules, bus lines and waiting times via smart posters located at bus stops.